The flow of electricity is not a difficult-to-understand concept; rather it can be explained in a very simple fashion: by understanding the flow of water. Indeed, the flow of electricity or electric charge is not unlike the way water flows. This blog breaks down the concept of electricity? To begin with, let’s look at what is electricity? Electricity is basically the set of physical phenomena associated with the presence and motion of electric charge. To understand this better, we shall look at the water flow analogy. 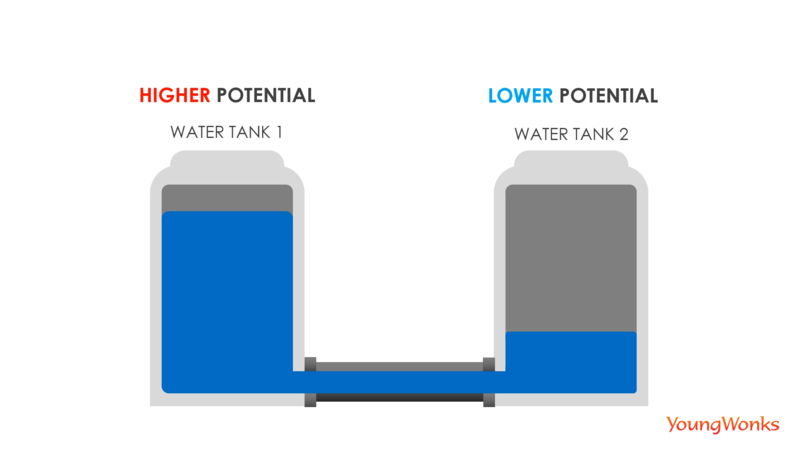 Imagine that there are two tanks with different amounts of water and the two tanks connected to each other at the bottom with a hose/ pipe. Water tank 1, the tank on the left, has a higher amount of water and thus higher potential. Similarly, water tank 2, the one on the right, has lower amount of water and thus a lower potential. 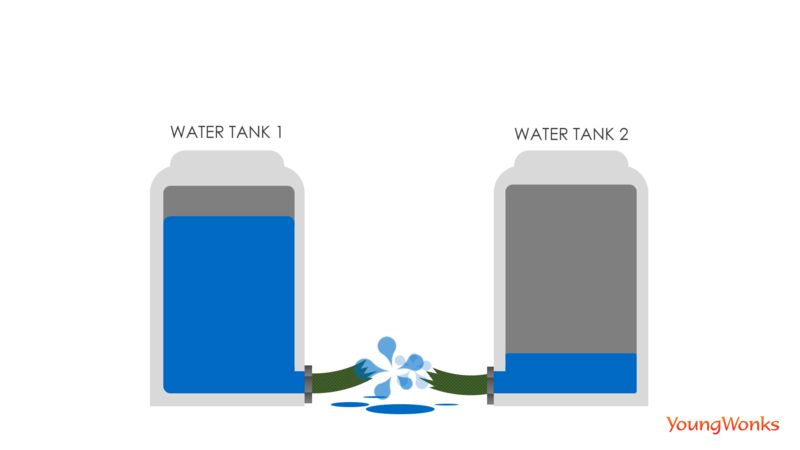 Given that the two tanks are connected with a pipe, water from tank 1 will flow to the tank 2 till both have the same level of water. This happens because they are trying to have equal potential, through equal amount of water. 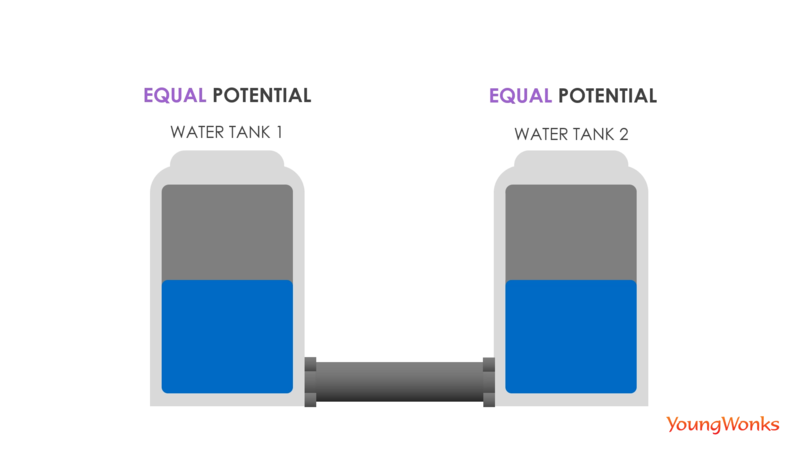 The water will stop flowing once both tanks have equal potential. The flow of current in a circuit is similar to this flow of water. 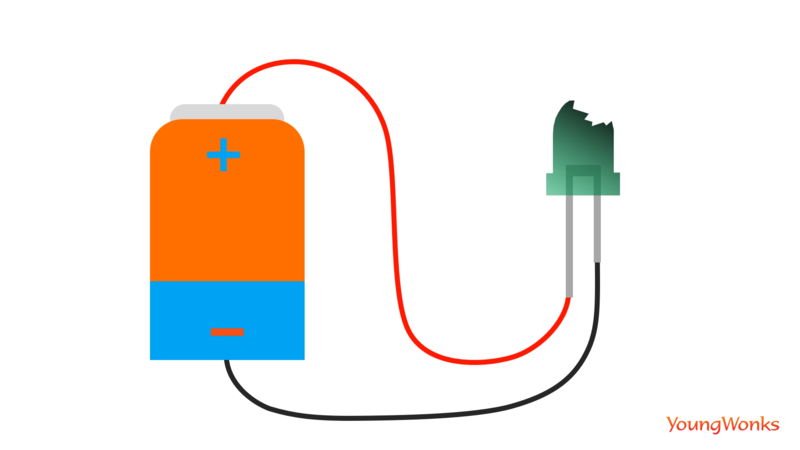 So in the same fashion, charge flows from the battery’s positive terminal / the end that has a higher potential to the battery’s negative terminal/ the end with lower potential till a charge or potential balance has been achieved. 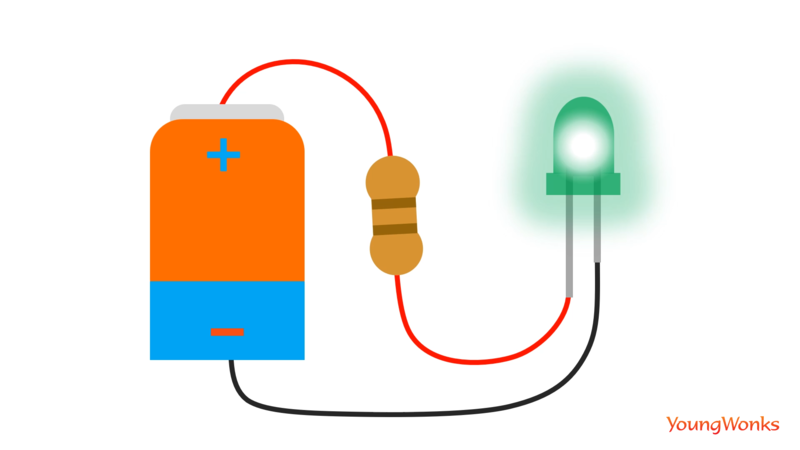 In this circuit, when the charge flows from the positive towards the negative terminal, it passes through the light bulb, effectively lighting it. Resistance as seen in the flow of water: Now let’s look at the concept of resistance or resistors. This too can be explained with the help of a water analogy. So let’s go back to the two water tanks we mentioned earlier. These tanks have different levels of water and tank 1 has way more water - it’s almost full - when compared to tank 2 on the right which has very little water. Now what would happen if these two tanks are connected with a rubber hose at the bottom? As mentioned earlier, the water from tank 1 would gush towards the hose so as to make it to the tank 2. But because of the difference in the water levels, the water pressure would be such that the rubber hose could even bulge up and burst. But what if it wasn’t just a plain rubber hose but a hose with a pressure reducing valve that were to connect the two water tanks? 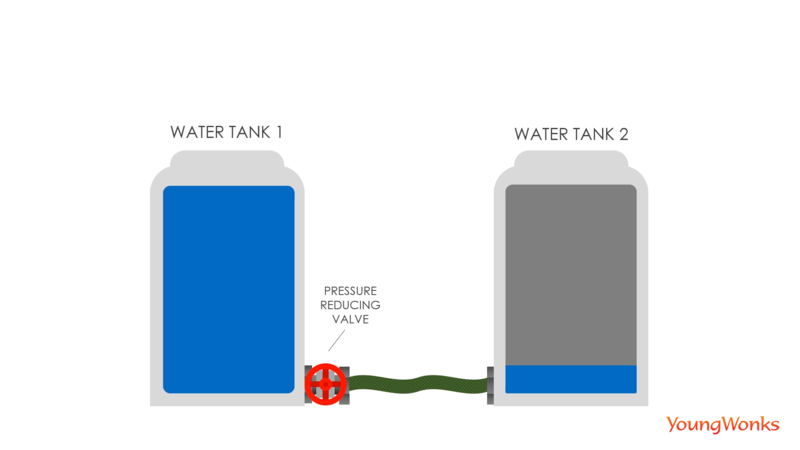 The water from tank 1 would still flow to tank 2 through the pipe till the two tanks have equal water, but now the valve would control or regulate the water pressure so the pipe wouldn’t burst as a result. Similarly in a circuit, a resistor is like the valve. 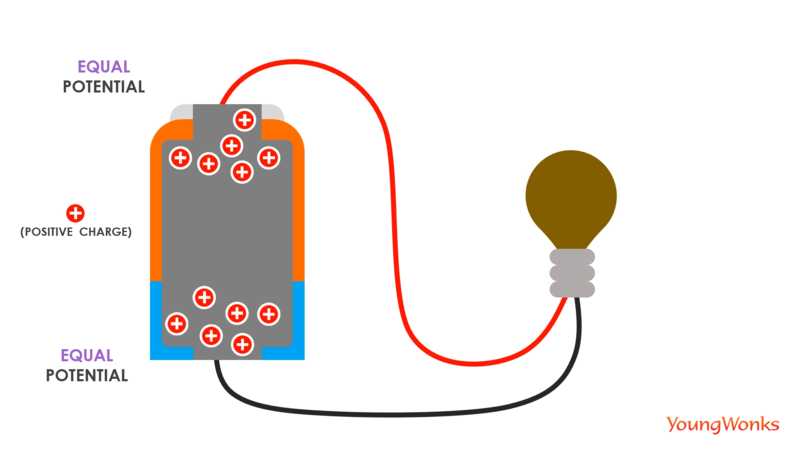 In the absence of a resistor, like in the water analogy, an uncontrolled amount of electricity can pass through the circuit if the power (positive terminal) is connected directly to the ground (negative terminal). This, in turn, can lead to a short circuit. What is a short circuit? It is a circuit where excessive amount of current can can cause circuit damage, overheating, fire or explosion. You can see the explosion of the LED bulb here, so to avoid such a danger, it is important to use a resistor in the circuit. A resistor will act as a valve of sorts and control the amount of electricity flowing through the circuit so that the LED will get enough current to light up and at the same time, not excess current that can make it blow up. 1) Always use a resistor to build a circuit. 2) The connections we make on the circuit should not be very close to each other either. If the connections are very close, the wire strands may touch each other thus causing a short circuit. 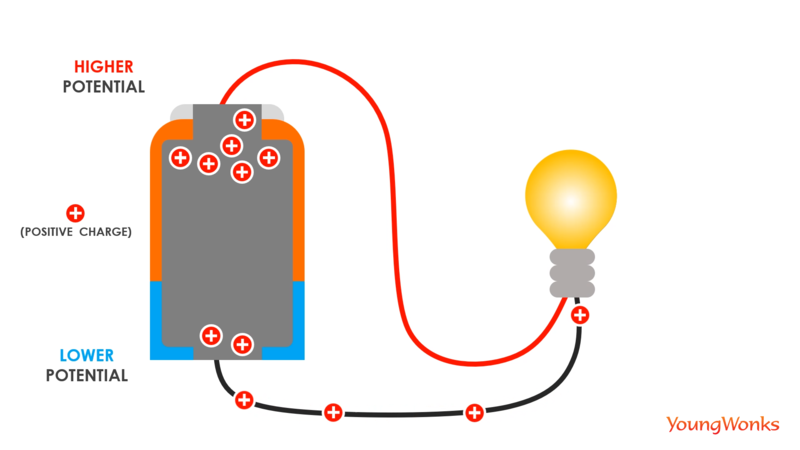 3) One should use an LED or a motor to handle any excess load of the current. The current load has to be rated for the current we are sending across in the circuit. 4) Avoid overcurrent in the first place by using fuses, circuit breakers, temperature sensors and current limiters. 5) Always use safety glasses while working with an electronic circuit.